Looking for a retractable shade solution for ground floor windows, balconies, patios, decks and terraces? The Folding Arm Awning is the answer, with its fold-away mechanism that leaves your outdoor area free of any structure. It’s also been designed so you can angle the awning for optimum protection from the sun. Ideal for larger spaces, the folding arms allow the awning to extend up to three metres for the maximum coverage. Retractable cover with adjustable pitch. 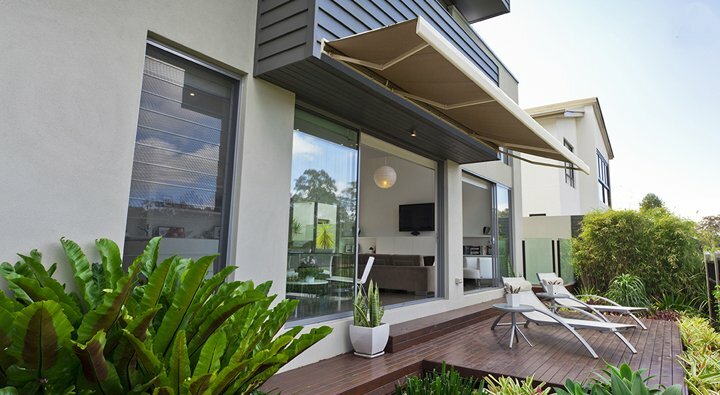 Would you like a price on these custom made Folding Arm Awnings?